Bryan Reginald Pape (1945 – 2014) was one of the most passionate, intelligent, witty, courageous, and at times, difficult people I have ever met. He was deeply polarising. But, one thing we can all agree on, is that if Bryan believed there was some injustice or unfairness or something unlawful, he would fight tooth and nail to make it right. 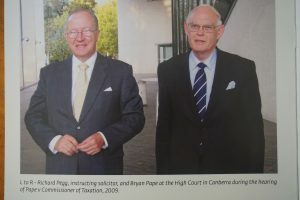 This is the main reason why in 2009, Bryan Pape was the first self-represented legal academic advocate to appear before the Full High Court of Australia. The High Court has been sitting for well over 100 years. The case was Pape v Commissioner of Taxation. In this case, Bryan’s argument was simple. 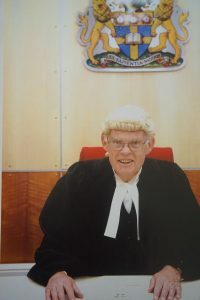 He argued that the commonwealth payments to stimulate the economy during the Global Financial Crisis, were unconstitutional. You see, it was Bryan’s contention that the power to distribute the money, belonged to the states not the commonwealth. The fact was, Bryan was not against people receiving the stimulus money. Rather, Bryan was ropeable about the way the commonwealth was planning to distribute the money. Bryan argued the commonwealth government and tax office were acting unconstitutionally. He felt compelled to do something about it. At the time, Bryan won few friends as a result of pursuing this legal action. Some at UNE couldn’t understand why he didn’t just write a journal article about the issue. Bryan also received hate mail and phone calls from people who were upset at the prospect at losing their $900. There was even a bomb threat at the High Court hearing! However, Bryan’s position was that if you have the skills, you should take practical action to test the commonwealth’s power. In terms of his role at the UNE School of Law, Bryan’s legacy is evident every day. 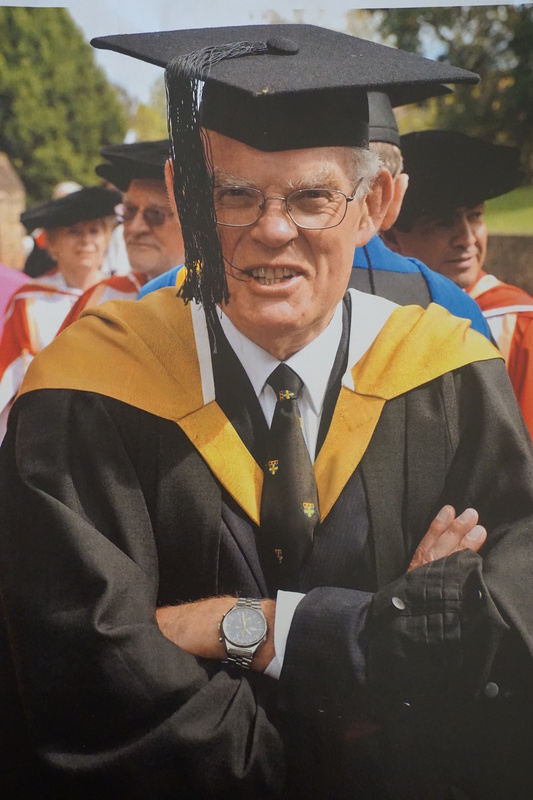 Bryan played a major part in setting up the Australian Centre for Agriculture and Law at UNE. This is the only one of its kind in Australia. In 2004, he was the Centre’s Acting Director. He was also instrumental in establishing the Moot Court Room in the School of Law. 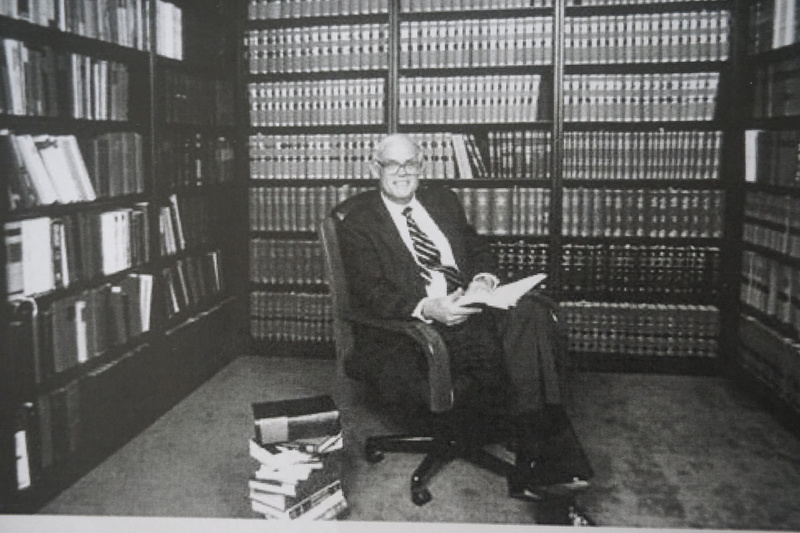 Amongst other things, he taught advocacy to law students in that room. Moreover, Bryan strove to ensure that mooting was compulsory in a UNE law degree. So, in terms of experiential learning, he was ahead of his time. Sadly in 2014, five years after the Pape v Commissioner of Taxation case, Bryan passed away unexpectedly at the premature age of 69. Many of you will have heard the quote ‘the flame that burns twice as bright burns half as long.’ This was certainly true in Bryan’s case. 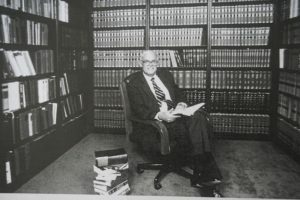 One of Bryan’s closest friends at the UNE School of Law was Paul Akon. 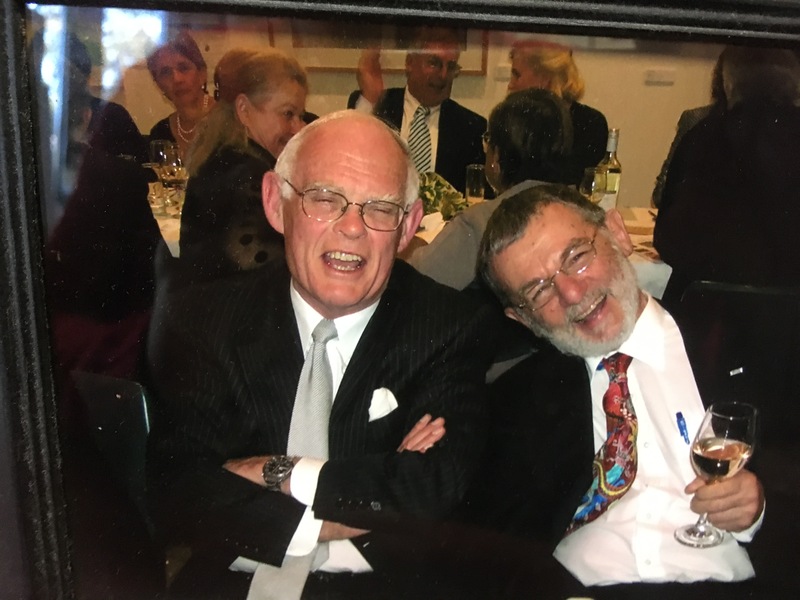 The two could often be found laughing and story-telling in the School of Law common room. 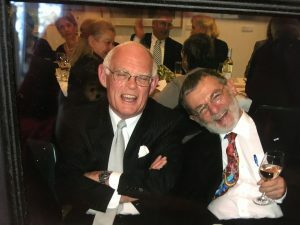 At Bryan’s memorial services in Sydney and Armidale, Paul gave a eulogy. Bryan was passionate about military history as evidenced by the following story. I once told Bryan excitedly that I was going to see U2 (the rock band). Bryan looked at me and stated ‘Are you referring to the U-2 Spy Planes?’ When I replied ‘No, U2 is one of the biggest bands in the world’ he just looked at me blankly. Paul told this story, amongst others, at Bryan’s memorial service. The School of Law wants past, present, and future students and staff to remember and honour Bryan. One way to help achieve this has been to establish The Bryan Pape Memorial Prize for Constitutional Law. $500 will go to the student who achieves the best result in LAW220 – Constitutional Law. Because the fundraising was so successful, this will be a perpetual annual prize. 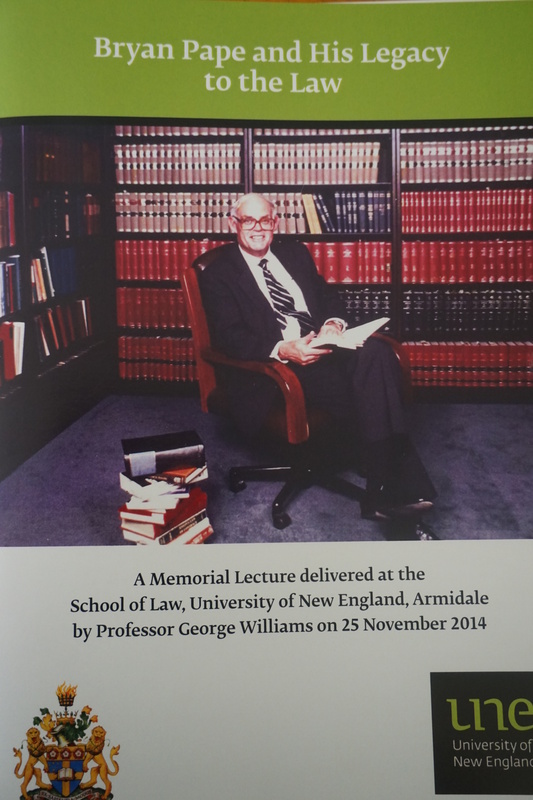 The UNE School of Law would like to thank everyone who donated to the fund, to make this special prize possible. In particular, thanks to Paul Akon for coordinating the campaign to commemorate and celebrate the life of Bryan Pape. It has been more than 4 years since Bryan passed away yet I still remember the things he said to me as a law student. People who are remembered well long after they leave us are people who have lived good lives. Rest in Peace Sir. You will always be one of my favourite lecturers eventhough you refused to give me the additional 1% I needed to get a Distinction on my unit. Although I did not see it at the time, the high expectations you placed on us as your students was aimed at producing capable lawyers who serve their communities rather than idiots with law degrees that serve themselves.